U.S. 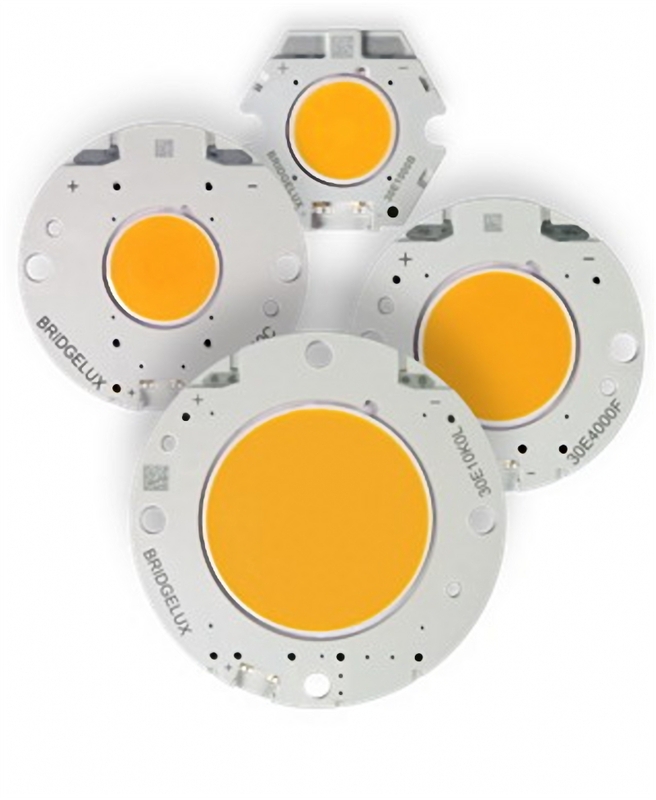 LED manufacturer Bridgelux recently spoke about latest developments in LED color standards, and how this influenced the companys COB array product coverage that includes Gamut Area Index (GAI), and was launched in late October 2014. Research organizations including Lighting Research Center (LRC) and Pennsylvania State University have continued to make research on light quality and the best way to quantify it. Currently the industry is evaluating the future of color standard through combined metrics, including Color Rendering Index (CRI) and GAI. The industry is also evaluating the number of colors used to determine the color rendering ability of a light source. The combination of an expanded CRI, GAI and a metric for determining color point deviation, such as a MacAdam ellipse, will become the new metric for color standard metric. CRI tends to render a limited sets of colors faithfully when compared to an ideal or natural light source. It does not adequately characterize saturated colors and can incorrectly give high scores to sources that render saturated colors poorly. Light is seen as the combined effect of hue, saturation and brightness. All these factors must be considered to accurately characterize light. GAI, for instance is a metric that includes these factors and more accurately represents the overall effect of light. The companys five-year partnership with LRC and Alliance for Solid-State Illumination Systems and Technologies (ASSIST) has influenced the companys LED color product developments. Having been a technology provider for the development of Class A specification, the LRC developed Class A specification based on worldwide tests on sample groups of consumers and lighting professionals to determine the most preferred white points. The specification from the LRC is a unique set of white points with a balance of CRIs for good color rendering and Gamut Area Indices to render color saturation. Bridgelux developed the Décor Series Class A products from the LRC specification. LED technology has opened many doors. The technology advancements are allowing the industry to fine tune white points and color that are most eye-catching to the human brain. With LED technology improvements, the demand for color quality has increased. With current LED technology, as light quality increases (CRI and GAI) the efficacy decreases due to the need to turn more of the blue light from the LED die into various colors. Light quality versus efficacy tends to be highly dependent on the application and industry. For example, Bridgelux created Décor Series Class A as our premium color quality product for retail applications and other higher end spaces, as they typically use higher quality light to attract customers to products and drive sales. Street lighting typically uses lower quality light, 70 CRI that have higher efficacy. Bridgelux combined its experience and partnership with the Lighting Research Center to develop a light specification that combines photometric factors with research proving how humans eyes see and prefer light. The technology focus has been in defining the light requirements – hue, chroma, brightness and white point; developing phosphor conversion systems that turn blue light from the LEDs to the required white light spectrum; and developing the test methodology and production process to continually deliver product. Speaking about future human centric lighting developments, although the technology to control human centric lighting and dynamic lighting are already available, the industry still faces the challenge to commercialize the technology in an acceptable form factor and affordable costs. Bridgleux and others have been working on this challenge for years and are on the way of bringing products to the mass market. In 2015 people will start to see a huge increase in the commercialization of this technology in both the residential and commercial space. It is considered that by 2017 adoption of this technology will begin to scale in the mass market. As for Bridgeluxs observations of the COB market developments, there has been broad application of COB among lighting OEMs in the U.S. market both in historically addressed markets such as track lighting, down lighting, PAR lamps other indoor categories, and increasingly in outdoor and industrial categories like high bay, wide area lighting, and even roadway lighting. Responding to Bridgeluxs outlook for the LED lights industry in 2015, the company forecasted very competitive pricing environment in 2015, largely as a result of the oversupply of LED package manufacturers in the market.